Life is just not fair sometimes. A lot of the time. I’ll never understand God’s plan and why he takes the ones he does, and when he takes them. I received a phone call out of the blue, the Sunday before Christmas, asking if I was at all available to squeeze in a last minute newborn session, for twins. She realized it was right before Christmas, and that it was very last minute. And me on the other line, I’m thinking how I just had to turn away three other newborn sessions who hadn’t previously booked with me, but had contacted me last minute. But this was different. I listened as the friend of Mom explained to me that one of the twins, William, was a miracle. 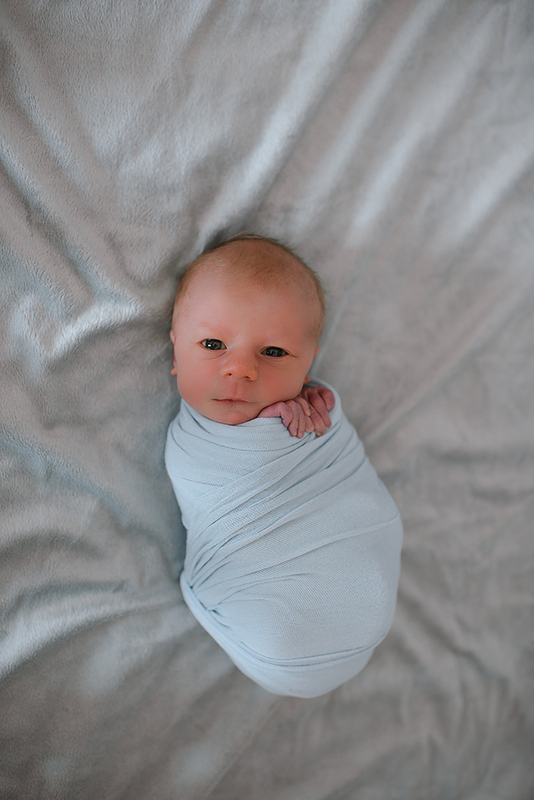 Mom and Dad were told around her 20 week ultrasound, that William’s heart hadn’t fully developed, and that he would most likely be stillborn; his prognosis was bleak. Their little girl, Reagan, was perfect. As heart wrenching as that news was, and I could never imagine the ache in my heart that Mom and Dad must still feel, I can’t imagine carrying out the rest of my pregnancy knowing only one of my children, that I tried for two years for, after IVF treatments, would not come out crying as his little sister would. I would have been a wreck. Wendy - Simply beautiful! They will treasure those forever. I m glad you were ” called ” to shoot these Angels. Thank you for sharing ! Mylahsmom - Simply beautiful! God does work in mysterious ways and HE places individuals on the paths that he designed, though we may never understand the “why”. William was here but for a moment, now thanks to you a glimpse of his moment is captured forever. Wonderful work and thank you for not denying this family those precious memories. 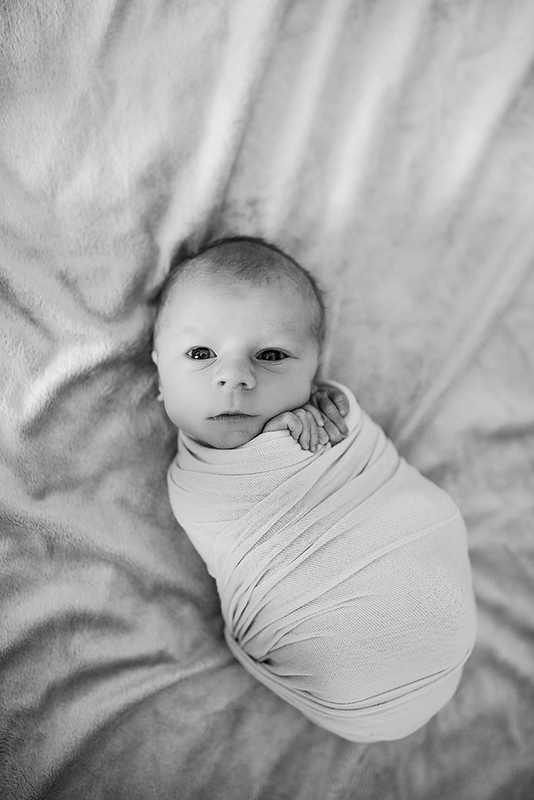 Anneke - These are beautiful photos and gorgeous babies. I shed tears for these parents as I can only imagine the heartbreak they’ve been through. Best wishes and love to all of you. Keep taking fantastic pictures, Lindsey. Suzanne Bailey - As I read the story my eyes started to fill with tears, and then I realized that this beautiful boy was with our Lord. All-though unfair, unbearable, and heartbreaking, he has a plan for us all. The lord needed William, and against all odds or the miracle of God, William got to breath in this world and spend sometime with his parents, sister, and fur-babies. And you got to take some forever memories for the family to forever cherish of their stunning son William. I am so sorry to this beautiful family. Prayers are with you. I am a photographer myself, and I would have done the same, so that they could have the beautiful memories you gave them. God saw you getting tired, a cure not meant to be. So he put his arms around you and whispered, “Come with me.” With tearful eyes we watched you and saw you fade away, although we loved you dearly, we could not make you stay. A golden heart stopped beating, your tender hands at rest. God took you home to prove to us he only takes the best. Linda - Wow! Those are just amazing photos. You are so talented. I am so happy you were able to do this shoot – the photos truly are going to be treasured forever. I found them incredibly moving. 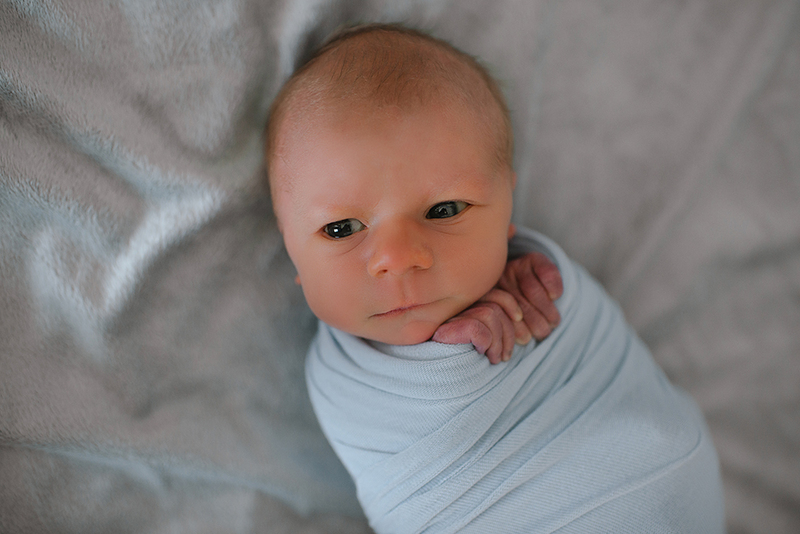 William looks like a wise little man! They are beautiful babies and the pictures are just wonderful. I think the story and pictures touched a lot of people’s hearts. I hope they bring some comfort to the parents. Aimee - This story touched me greatly. It is a painful yet joyous reminder that though we may never truly understand why some things happen, it was an absolute gift to experience that beautiful baby for 11 days. Even in the brevity of his time with us, I know William’s life has impacted many. He is certainly in good and loving hands. God bless this family. Karolina - It’s not fear that such a small creature-a little angel was taken away. The pictures show their perfectness. The story made me cry. Life is unfair. Faye Garant - What Beautiful Photos of these two beautiful babies. They moved me to tears. What a wonderful way to capture these moments of William before his passing. KAREN CASTEVENS - How beautiful!! What a story and “their story” told in photograph. I am in awe of you and those parents. God bless them. William is beautiful as is Reagan. One day Reagan will understand just how special they both are!! Again, amazing!! Much love and blessings to you and to this family! Nate - Wow! Never have seen such fleeing beauty cause me to cry. How amazing that these souls found each other and left such an indelible mark on one another. May your souls cross paths again. Thank you for sharing your beautiful family. Cyndy - Incredible photographs that brought tears to my eyes! Beautiful images of two children with their parents will live on! God Bless! Megan Hunt - Good Lord..so so precious…No words needed! God Bless! Kathleen - That you for your”calling” and giving this family beautiful memory keepsakes. To the parents, I’m praying for your comfort and even more strength. For it took strength to get you through it and come to this point. Thank You for sharing. I hope you will consider becoming an ear and a voice for future parents facing the same. Many need the wisdom you’ve obtained through your journey. They will be blessed by it. I’m from Brazil and I knew about Reagen & Willian story. I loved that you went to do this work. It’s a sad story but it was important for that parents. Congrats for your big heart and excellent work! I loved to see all the pics. Donna - Beautiful, can’t stop crying. Thank you for sharing such a wonderful story. William is their guardian angel now. I’ve experienced a situation 26 yrs ago, however we didn’t get a chance to photograph our daughter when she was born pre-maturely. All we have is a Polaroid that is fading and she passed away 3 days later. She is our guardian angel, God Bless. Roselyn - These pictures are so beautiful. They are so lucky to have you photograph their children. I wish them well and William, RIP. joani - What a handsome little man, and a pretty little girl… Sometimes we do wonder why things happen the way they do but in saying that I have no doubt that the little man had issues in his little body that the Lord felt he did not need to suffer with. I also have no doubt that the lives of this precious family have been saved because of this little man. And although the Lord has take him home he is now whole and healed from all and any sickness that would have been painful for him and his family to endure. So he can now rest and sad as it is Mommy and Daddy will take care of his sissy and be at peace knowing now that Sweet baby William is now in the care of his creator and the BEST doctor for him… Thank u Lord for blessing all of us with the photos and for sharing this little guy and his sister with all of us.. I have no doubt his life is being used in to many ways to count.. I will get to meet him one day and hopefully many others that came to know Jesus because of his life. Christie Oliver - These are some of the most beautiful pictures I have seen, and very thoughtful and loving and sensitive. Beautiful Babies. across soft pillows and downy blankets. \with his mother, his father, his sister. Pam - Precious are we, we are precious to laugh, learn, live, and love. Now if we all can keep that in mind: Laugh, learn, live, and Love one and all! Blessed to view such Blessing Photos! Marilyn - Dear Parents: Being a female fraternal twin of a girl/boy set, I am touched by your story. I send prayers, strength & comfort. God blessed William with life, although brief, as He wanted you to meet, to look into each other eyes, to hear each other’s voices, to learn a bit about each other & to embrace each other, so close, so loving. William felt safeguarded & loved. God tasked William with accompanying Reagan into the world, leaving her in your loving & capable hands. You now have your own angel in heaven. I do as well, a few in fact. Reagan is your angel on earth. William will guard over your family. Be open to the reminders, the emotions, the awareness of William’s presence. William is with the Lord. Stay close to each other and to God, enjoy all that Reagan has to offer. May God abundantly bless you and your family. May He grant you His peace. These photos are heartfelt, capturing the essence of the hour spent together before physical departure. One of the pictures overwhelmed me to the point where I was inspired to write. I hope you don’t mind. Caroline - Oh what sweet angels – thanks for sharing. R.I.P. William. So sorry for your loss! Brenda Dudley - This is so sad I can’t stop crying even though we know this precious baby is in the arms of Jesus. Yes sometimes we don’t understand why things happen as they do BUT I’m glad that they got sometime with him. Even though a life may last just for a moment but memories can make that moment last forever. Praying for the family. Sheila Burchfield - I am praying for you all as you celebrate and grieve for the brief life of your son. I know we don’t understand why things happen the way they do, I am so happy that you were able to be with him and love him. Pamela Lawson DNP, RN - Your twins are so beautiful! What a wonderful gift from heaven. Love the pictures. Promise to always take care of them and raise them to be respectable children and adults. linda - beautiful story of the twins. Bridget - Baby Will is gonna be his twin’s protector and she should be told about him!